The temperature in LA may not be portraying the winter wonderland I'm dreaming of, but I'm not letting that stop me for pretending like it's December. My routine is as follows... Get in my car, crank the air conditioning on high, blast Christina Aguilera's Christmas CD, and enjoy the sweet uh-mazingness that is a pumpkin spice latte. All of which is a great exercise for Christmas in LA. (I start this routine in July... don't judge) This past weekend was all about shopping for slouchy sweaters, denim, and of course boots. From riding boots to ankle booties, I literally can't get enough. The second I spotted these Pink & Pepper boots, I knew I had to have them. I can already foresee a battle with my sister over the footwear when I return home for the holidays, which reminds me... I seriously need to plan a surprise visit to Auburn University to reclaim the other half of my wardrobe from her. The dryer may have eaten my socks but I'm pretty sure it doesn't eat Michael Kors bags and Tori Burch flats. I'm on to you sis! In the mean time, how's the weather where you are? Feeling fall or still stuck in summer? 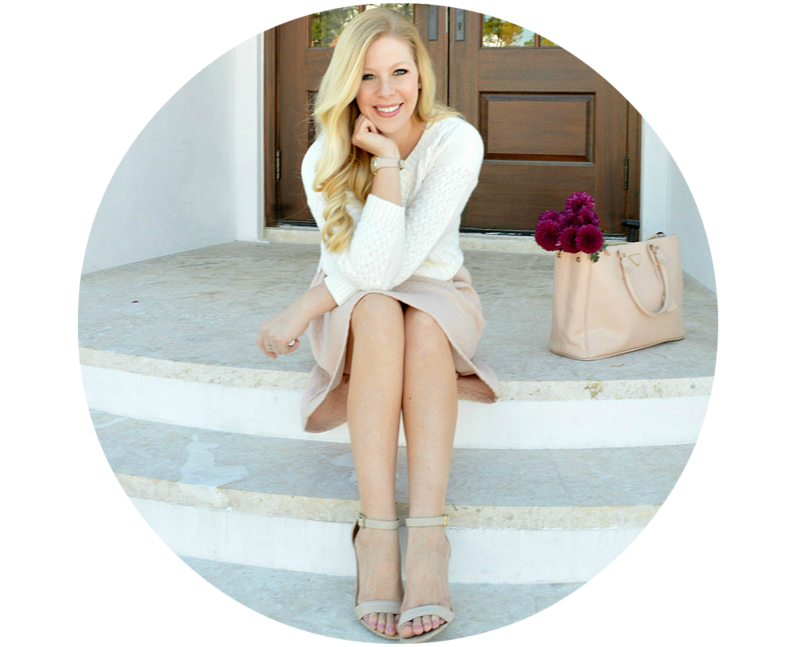 Be sure to follow Fash Boulevard on Twitter and BlogLovin! OMG I am dying over those boots! Love this outfit! I really admire you....that's all:))! Love the boots and the knit. You look gorgeous! I feel your fall frustration. But your working with what you got! Love the knit sweater! I really like those boots your wearing. I've been trying to get my mom to buy me some. Hopefully she will get those for me cuz they are so cute. You look so cozy and cute! i am obsessed with your sweater! and they go PERFECTLY with your shoes! I need these boots! How have I never heard of Pink and pepper before? You should buy your sister a pair so there's no war wounds. lol. Have a fab weekend, Anna. Love this fall outfit. The sweater and the shoes are amazing and I love yout bangles. Really pretty. Wow you are a really lucky girl to see Giuliana Rancic and have all these amazing chance. So proud of you. I really love your boots ! You look so chic with the boots, bangles and sunglasses! I seriously wish I was in LA and not the UK right now! We may be getting snow in the North soon! Great outfit! I see nothing wrong with starting Christmas CD's in July! Your sweater is perfect. I have really been wanting one like that. I also love those boots. The woven fabric is a unique touch. 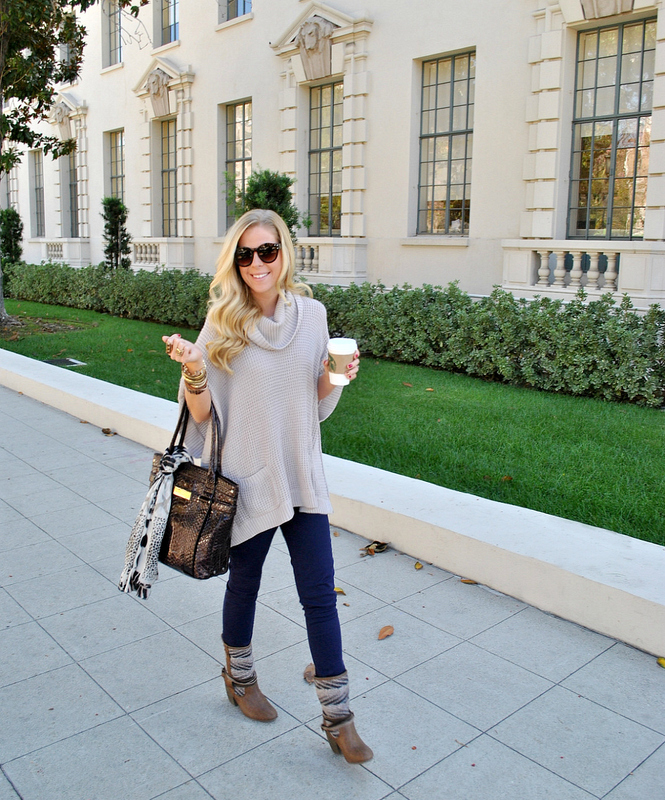 so great fall comfy look! Love that sweater and your shoes. Well, you did it again. lol. Once more i want EVERYTHING. These boots are FAB FAB FAB. Great styling, Anna. I've never heard of pink and pepper before so hot damn are these boots cute. I also love your sweater. I'm a sucker for anything oversized. Lol. Your writing always makes me laugh. You and your sister sound like a blast. Yall should tots do a reality show or something. In the meantime, I might have to join the fight for these booties. I love the belt detail. Love the sweater! Great color! And those booties are too cute! The bag. The shoes. You're such an inspiration, hun. Sounds like a fun night! I love these boots!! Must have a pair! Eeeeeeeeek! You are so lucky to be "bff" with G! oh my word! Jealous! And I LOVE your boots! 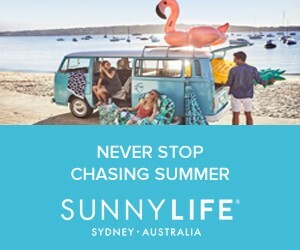 We are in summer now and I really need to start shopping more! gorgeous boots! you look amazing! I love that sweater, so comfy and cozy! And your story about your sis is SO cute! Hope you can get a few of your items back! Love every single one of tour outfits! You look amaing every time! Those boots are so interesting and unique, and I love your sweater. This is a great Fall outfit! Those boots are really cute! Thank goodness it's starting to cool down here in TX...and by cool I mean high of 84 degrees. "/ LOL, have a good weekend Anna! I really like what you are wearing for that event ! this sweater is AH-mazing girl! Thank you for your sweet comment! This look is absolutely amazing and I am now following you on Twitter and BlogLovin'! Thanks for your comment Anna! I absolutely love your blog and the sweater your wearing! If I had a sister like you, I'd steal your stuff, too! Love this sweater, btw. love this outfit! living in florida means i have to pretend too and i love the idea to crank the AC and just pretend! congrats on your event the other night-- how exciting! Cute boots! Fall in the Bay Area means warmer temperatures, but it's actually supposed to rain next week. Can't wait!!! This outfit looks so cozy!! I adore your bangles and those boots! So good! I wish I could wear all mu cardigans and scarves!! But no matter how high the a/c is outside is just pure humidity!! love those boots! I'm dying over there too in this So Cal weather! OMG these little boots cray cute. It's fall where I am, thank god! Meaning boots and sweaters everyday! But, it rains a lot on my college campus, any suggestions as to how to stay fashionable when it's constantly raining? I have two sisters, one older and one younger, so I know exactly what you mean about "borrowing" clothes :). Lovely boots! It's finally cooling off here in Phoenix, so that means it's only in the 90's. Once it gets to 75, it will really feel like fall! Oh and baby Duke is the cutest! So jealous you get to hang out with G. I imagine her being the sweetest person on the planet! Darling Style...this is now one of my new favorite blogs!! I have a sweater kind of like that :) You look fabulous, Anna! But you always do. This look IS so very Fall. Love it. Loving all your awesome bracelets! I adore your outfit. I wore something similar last week. I have a very similar cowl neck sweater and I wore them with my skinnies and Fergalicious booties that I just can't get enough of. I love Giuliana. I'm so happy for her and Bill. It totally is FAll here in VAncouver. The rainy monsoon season has started. At least we've had a few days without rain. Looking forward to reading your new style blog. great post! love those boots, you look so goood! Super cute look! I love the over-sized sweater. Love all the pretty little bracelets!! I love this look! I agree I am too wishing it were call in CA! Love those boots!! I'm in the same way, I live in Houston where it's still hot but I too am dreaming of the winter days. Lovely outfit hun!! 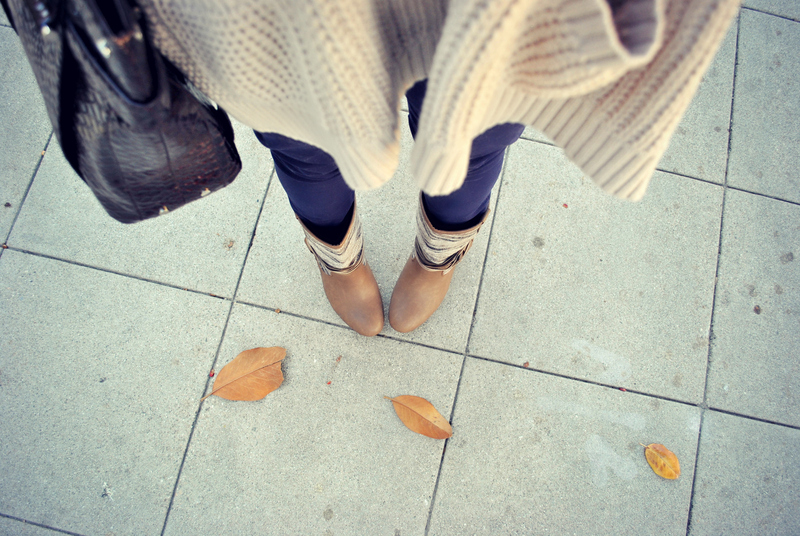 Cute boots and sweater!! I listen to Christmas Cds too to help me stay cool (in summers) and to help get into the spirit after Thanksgiving. Love that sweater and those boots! Hope you can check out my latest DIY and enter my contest. Love the boots. Its so cool you get to hang with Giuliana and work on things you really love. Congrats! Grogeous love the autumn look the boots and cardiagan/jumper are amazing. Its great to have a change of clothes for seasons. great look and arm candy! You are adorable! I wish I was your sister so we could share closets! What a perfect fall outfit! I want everything you're wearing! And those boots are fantastic! Adore this fall outfit! Those boots are SO cute. Love your pics with Giuliana too! Hope you have a wonderful weekend! Absolutely love your bracelets and boots! And too funny, I have had similar things happen with my sisters before ;) Things magically disappear around the time I see them! Good for you for putting fashion first! I can't bare to keep a sweater on for more than 5 minutes! 95 degrees in October?!?! Looks super cute though. LOVE the sweater and feel free to switch places with me, Virginia is already nice and chilly! Your outfit looks so classy yet comfy! Love it. Great arm-full-of-bracelets too :)! Love your outfit, and your husband takes amazing photos! Perfect for the season. These boots are everything, LOVE. Cute outfit, especially the boots and bag! It's finally starting to cool down here in LA LA, but I'm with you on that air conditioning and those Pumpkin Spice Lattes. It's still been summer here in NorCal but it supposed to cool down next week :) Hopefully you get a cool down too! That shirt is so pretty and comfy-looking! I love your sweater. Cute boots too! Congrats on being invited to speak on the panel. Wow! what an accomplishment. I am loving your whole ensemble and your accessories. Great look. What a cute outfit! I'm from southern california too so we've basically been sizzling down here this week. Can't wait for cooler weather! And how fun that you got to participate in the fashion event at Ontario Mills! I wanted to go, but sadly school got in the way :( Glad you had fun and got to chat with Giuliana! That's awesome! THanks for stopping by my site!! I'm so happy I found your blog!! Your outfits are wonderful. I adore this outfit, you look so comfortable and it has such an elegant autumn flare. Looking forward to more posts! you look awesome. Those boots are adorable, and I love the slouchy sweater. Fall weather cannot come soon enough! What a cute outfit! And it looks so confi! So beautiful outfit!! I love it! Lovely look!You look gorgeous!Great blog. What about following each other? The boots are to die for! You look so cute! Those boots are super cute. I've been wanting a similar pair. Gonna have to check them out. That's so true Anna....nothing can stop us from dressing up like it's really Fall here is LA :-) ....& you're absolutely looking so FASH in the entire look!!! love love love the shoes! thanks for stopping by my blog! Such a great and cozy fall look! Your boots and bracelets are pretty amazing!! You always have such great outfits - I love your sweater so much! OMG! You look so pretty! I was checking out some old posts from my blog and I found out that we used to follow each other! I am so happy that you've come this far! Very very proud of you! Wow, you look SO gorgeous! I really love this outfit! Those booties are out of control, love those, I want!!!! I was just working on a blog post with Indian blanket boots, and then I saw this post! I linked up to you in it. Check it out! Boots go native. I love this outfit - perfect fall outfit! Pumpkin Spice latte all the way!! *sigh* Your outfits just get better and better! Wooow! SO PERFECT fall attire! 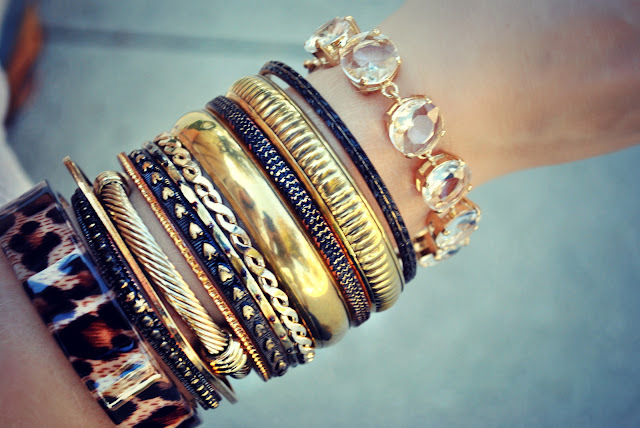 Love your arm party! OMG you are the best! I love, love, LOVE this outfit!! Your sweater and boots are so cute! SO comfy! Love that crystal bracelet also - where is it from?! love your outfit! i really love your bag and boots! I really like all your collection most especially your pants and it is just like girbaud collection. It seems that if I am one wearing those dresses it looks sexier. Hopefully I will one who is wearing those dresses someday. Thanks and I really appreciate with your post and most especially to the designer of those collections.